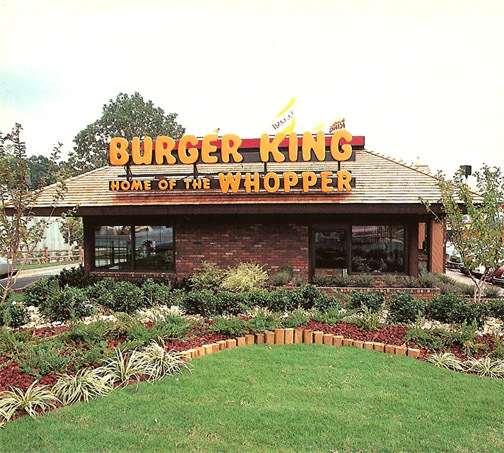 Burger King, Corporate Tax Inversions, And Political Theater. The recent bashing of Burger King about their merger with Tim Hortons is nothing more than political theater being staged for the upcoming November elections. The political strategy of: divide us into as many groups as possible, pit us against each other using propaganda, and set up the false narrative that Government is the only solution to the made up problem is in full swing. In this case it’s the usual tried and true tactic of the haves vs. the have-nots. A corporate tax inversions is simply a corporation merging with an overseas company from a country that has a lower tax rate. The President has been propagandizing inversions lately for political reasons. If you don’t believe me watch this short video ( if you can get through the first minute). The words used, the tone of his voice, and the misinformation in this video would make Joseph Goebbels envious. Tactics like this aren’t new. In May of 2013 Apple was brought in front of a Homeland Security and Government Affairs Committee hearing to be lambasted about their tax practices. These hearings are always political theater. But in this case something different happened. Senator Rand Paul took the unpopular stance of defending Apple. Which video do you believe is factually true of just a piece of propaganda. We have to be able to sift through the propaganda and rhetoric of both sides in order to get to the truth. The Federal Government will collect $20 billion less in tax revenue over a decade if tax inversions aren’t halted (read here). That’s only $2 billion a year out of a $3.7 trillion yearly Federal budget, or .001 percent of the budget. If you add the fact that the Fed is still printing $25 billion a month, you see the insignificant amount of money involved. Politicians will propagandize inversions by saying, “this will ‘cost tax payers’ blah blah blah”, or something about corporations, “trying to avoid paying their fair share”. This is purely political posturing through propaganda. Here is an article titled, Buffett Burger King Funds Flip Obama’s Inversion Calculus. It is interesting to see all the corners these crony capitalists and politicians get paint into because of their incestuous relationship with each other. Here are some excerpts. I want to disinfect myself after reading that. GEORGE McGOVERN: FREE MARKET CONVERT? Former Senator and 1972 Democratic Presidential nominee George McGovern talked about his experience dealing with Government regulations and mandates after he retired from politics and became a business owner, in this article titled What I Know Now: Nibbled To Death. Here are a few excerpts from the article. I think this article was written around 1993. If Senator McGovern thought regulations and mandates were bad then, what would he think about them if he were alive today. Senator McGovern was a big Government leftist, but he realized at some point regulations and mandates destroy economic activity. [Or did he just want regulations to be at a level in which his business could survive? Would he have written this this article if regulations weren’t at a level that affected his business? His business just happened to be the submarginal business, what if it had been the supramarginal business?}. “The economy” is what results when each individual is free to make decisions on what to produce, consume, save, or exchange according to what he values at any particular time. Outside of protecting property rights, contracts, and torts: government interventions hamper the decision-making by individuals, by definition hurting the economy. Government intervention substitutes the decisions of individual politicians and bureaucrats, for the decisions of free individuals in the market, creating a lower overall standard of living, and individuals who are less satisfied. Politicians are always performing in the political theater, because they realize that the political process is the only way they can get in positions of power to enforce their superior wisdom on the masses. We have to realize this, and be able to weed out the propaganda from the facts if we are going to be able to turn the big Government ship around. This entry was posted on September 1, 2014 at 2:43 pm and is filed under Government and Politics. You can subscribe via RSS 2.0 feed to this post's comments.